How can one talk of hill stations near Delhi and not mention their ‘Queen’, Mussoorie?! Its altitude of more than 6500 feet results in an extremely pleasant summer season with cool breeze, clear skies and sunny days. The town was established by a British officer, who had come here to hunt. Soon, its beauty made it famous throughout the colonial regime, and high-ranking people started frequenting it, especially in the summer season. How to Reach Mussoorie from Delhi: Several trains run from Delhi to Dehradun, from where the hill station is merely 1 hour 20 minutes by road. 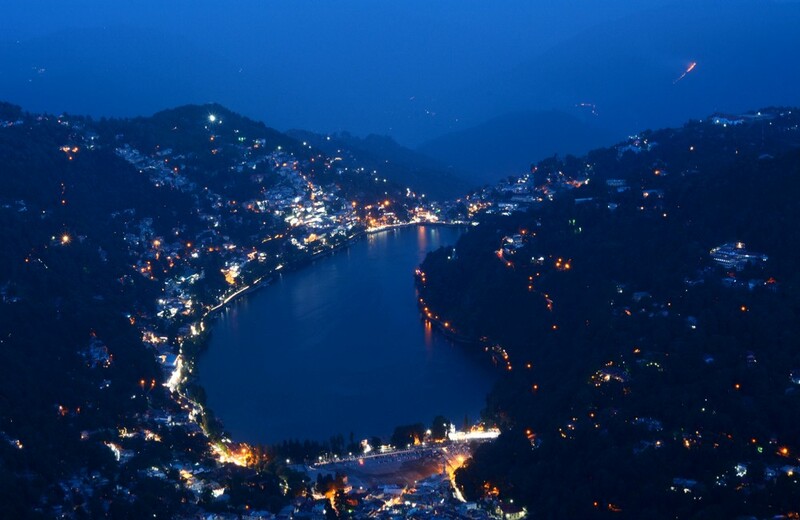 An extremely popular hill station near Delhi within 300 km, Nainital needs no introduction. It is located at an elevation of around 6830 feet in the state of Uttarakhand. People from all over the country visit it with their family, friends or partner for a memorable time. The summer temperature rarely goes beyond 25 degrees C.
How to Reach Nainital from Delhi: Trains are available till Kathgodam, from where you have to take a bus or taxi. Buses are also available till Nainital from Anand Vihar ISBT. 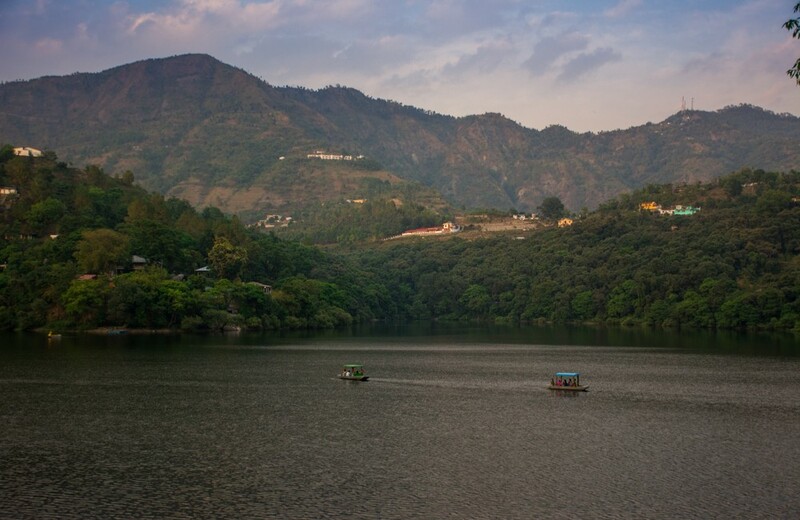 Another great hill station near Delhi within 300 km, Bhimtal is a must visit. 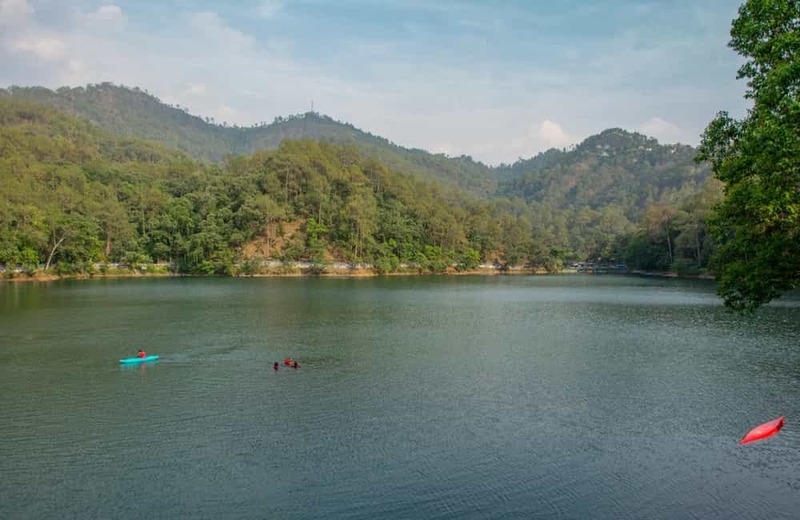 Just like Nainital, Bhimtal is also set around a natural lake; the lake here is much larger than in the former hill town. Set around 4500 feet above mean sea level, the town is visited by globetrotters from all parts of the country all the year round. 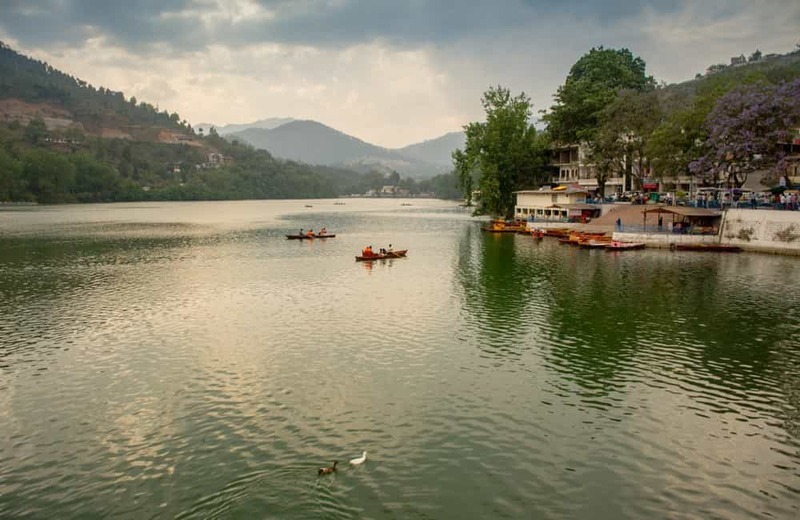 How to Reach Bhimtal from Delhi: Regular buses and taxi service is available for the town from Kathgodam, which receives numerous trains from Delhi. A hill town with a large lake surrounded by pine trees, Naukuchiatal is perfect for tranquillity seekers. Located at an elevation of roughly 4000 feet, this natural waterbody is said to have nine corners; hence, the name. With the ground more than 40 feet below the surface of the water, Naukuchiatal is the deepest lake in the region. How to Reach Naukuchiatal from Delhi: You can take a train from Delhi to Kathgodam and then complete the rest of the journey by buses or taxis. Want to be surrounded by shimmering lakes? Then, visit Sattal; its name translating into ‘Seven Lakes’. This photogenic spot, sitting around 4500 feet the sea, is surrounded by pine trees that give off a characteristic scent. Apart from globetrotters, the waterbody and its surroundings are also frequented by birds such as parrots, woodpeckers, pheasants, thrushes, finches, Himalayan griffon vultures, fish eagles, crested serpent eagles, black eagles, mountain hawk eagle and lammergeiers. How to Reach Sattal from Delhi: Sattal is easily reachable from Kathgodam by buses and taxis. Several trains are available for Kathgodam from Delhi. Bring along a camera when you head to Ranikhet as you do not want to miss capturing the views of the snow-clad mountains you get from here. Incredibly green and tranquil, it can be visited for a much-needed break from work or whatever you want a break from. The summers are never warm here, thanks to its elevation of about 6100 feet. 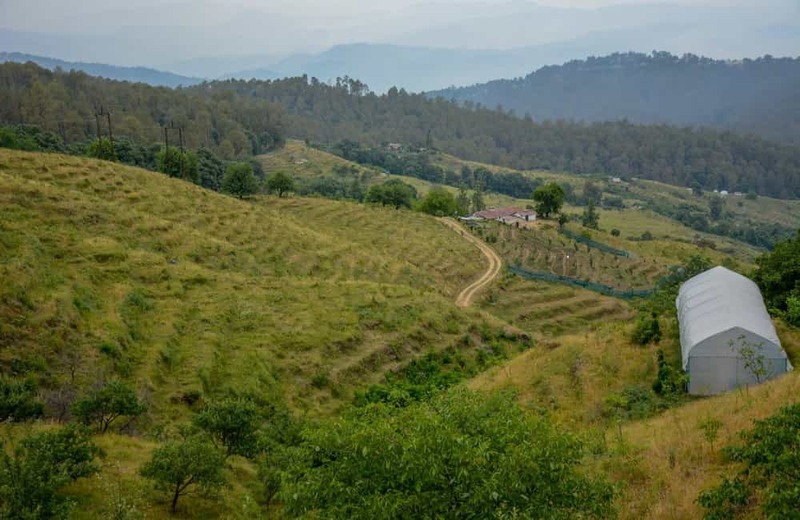 How to Reach Ranikhet from Delhi: Several buses and taxis ply to Ranikhet from Kathgodam, which is connected to Delhi by taxis, buses and trains. Over 7300 feet high, this small hamlet in Himachal Pradesh is home to the highest cricket ground in the world. As it is not too commercialised yet, it is a relatively calmer hilly hamlet than many others in the Himalayas. 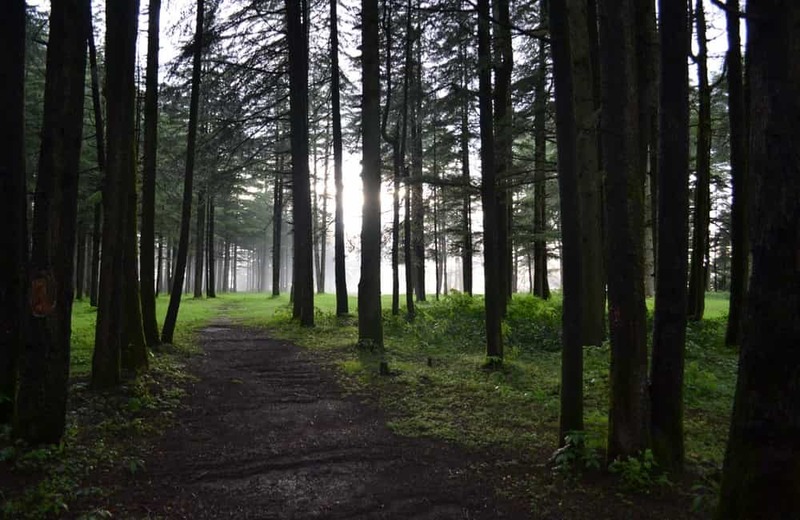 How to Reach Chail from Delhi: It is easily reachable by taxis and buses from Chandigarh, which is connected to Delhi by taxis, trains, buses and flights. About 60 km from Nainital is Almora, another charming town in Uttarakhand. It is not too popular with holidaymakers as compared to the former one, so you can expect to get the peace you have always wanted. Its altitude of about 5380 feet keeps the weather here really mild. Views of snow-white mountains are a plus. How to Reach Almora from Delhi: You can take trains till Kathgodam and then cover the rest of the journey by bus or taxi from Kathgodam as well as Haldwani. 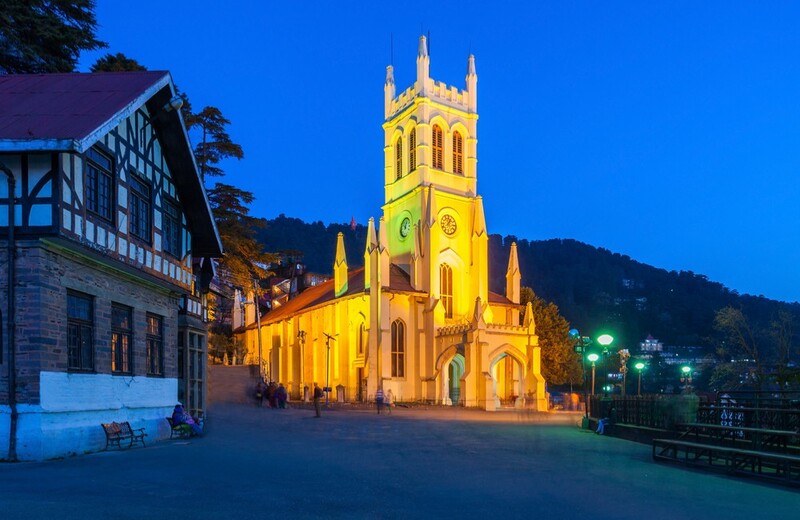 Cool weather, lush deodars and colonial grandeur greet you as you arrive in Shimla. The capital of Himachal Pradesh, Shimla boasts an elevation of over 7000 feet above sea level, resulting in a pleasant weather pattern in summers. How to Reach Shimla from Delhi: You can first take a train to Chandigarh, from where buses and taxis are readily available to reach the hill station. You can also reach Kalka by broad gauge train, and then cover the rest of the journey by narrow gauge railway. 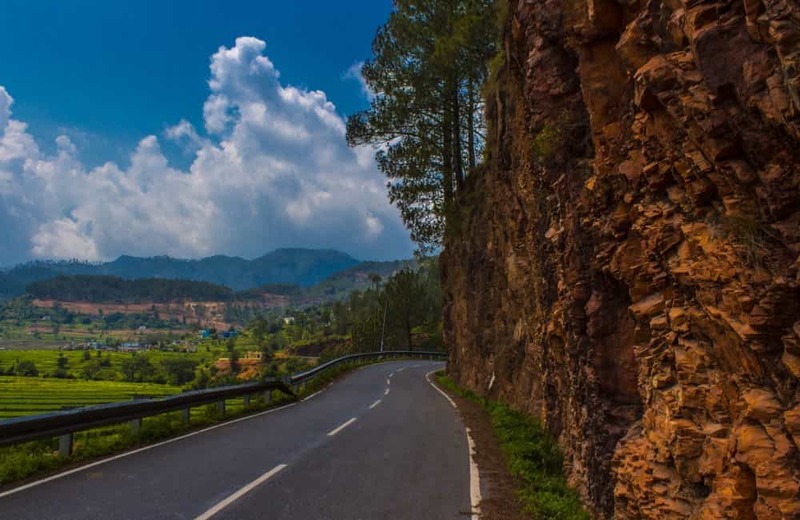 Alternatively, you can also reach this hill station near Delhi by car as a drive to here is extremely rewarding in terms of the views along the way. Thanks to its elevation of over 10000 feet above sea level, Auli is one of the coldest hill stations near Delhi even in summer. Lush grass carpets its slopes during the summer season, which is quite sunny and clear here. How to Reach Auli from Delhi: Trains and buses are available from Delhi to Haridwar, from where you cover the rest of the distance by road. 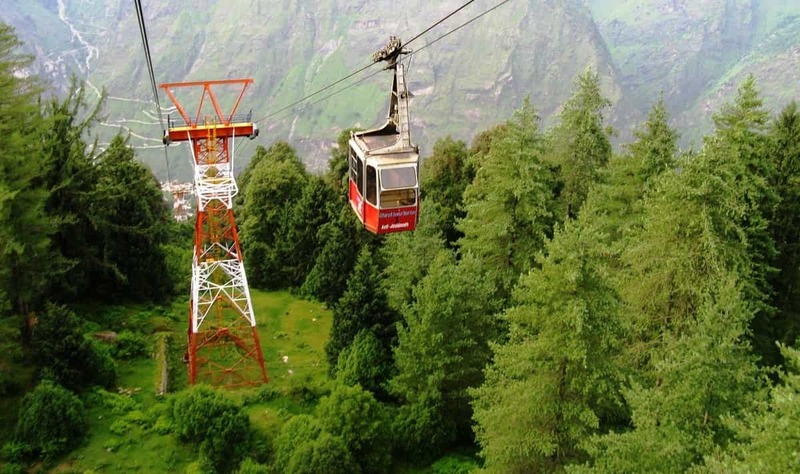 You can take a bus or cab all the way till Auli or just till the town of Joshimath, from where a cable car connects you to your final destination. 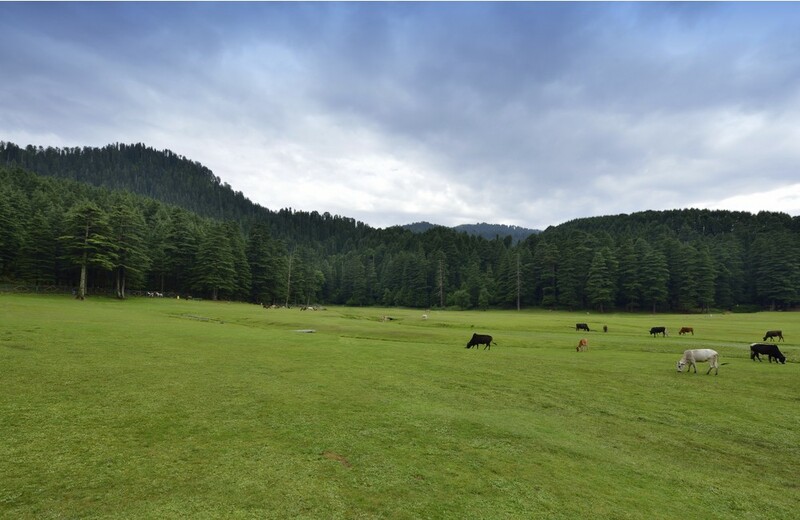 A ski resort in winters, Kufri is a carpet of lush grass in summers. Make it a point to go there whenever you visit Shimla as Kufri is merely 17 km from the hill city. It is more than 8600 feet above the sea level, meaning that the temperature here remains on the lower side even in the height of summers. 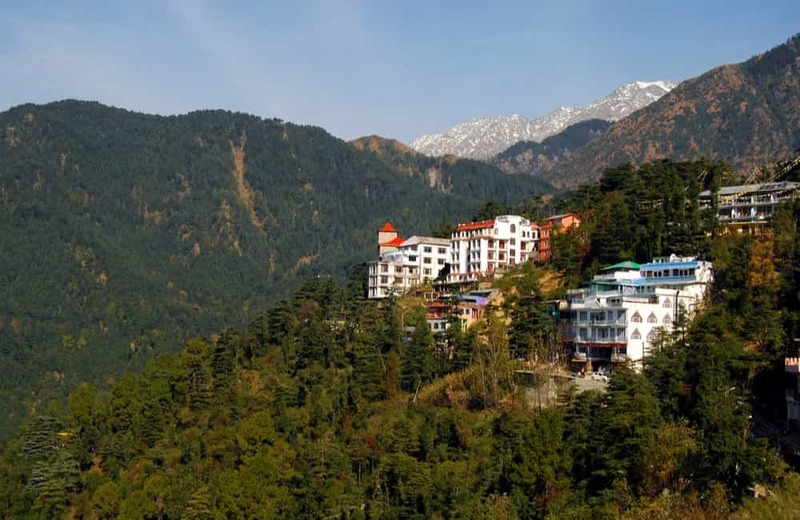 How to Reach Kufri from Delhi: As it is an extremely popular destination among globetrotters from around India, taxis and buses are available easily to reach it from nearby places like Shimla. 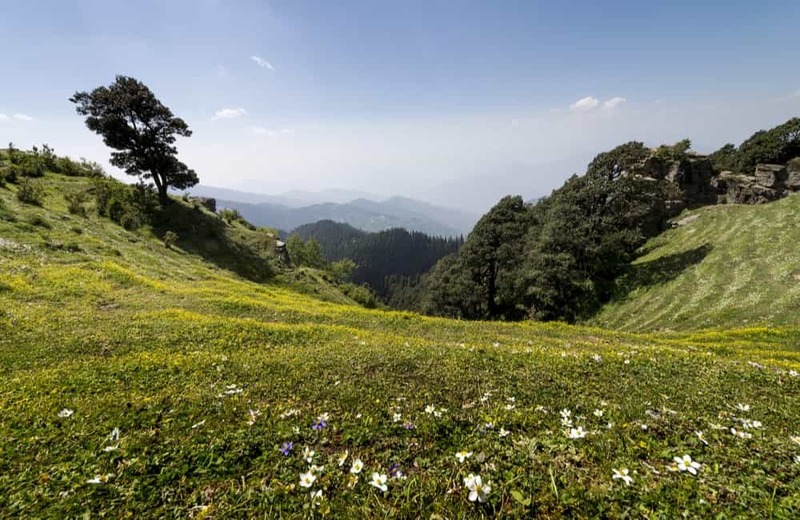 Another great spot to enjoy the cool mountain weather in summer, Narkanda is also not too far from Shimla; hence, perfect to visit when in the capital of Himachal. It boasts an altitude of more than 9000 feet, so it will be extremely pleasant here even when the rest of the country is reeling under the scorching sun; it is among the coldest hill stations near Delhi in summer. How to Reach Narkanda from Delhi: Buses and taxis are readily available from Shimla for Narkanda, considering its high tourist significance. Dominated by the around 20000-feet high Dhauladhar Range, Dharamshala is a gem of a place in Himachal. Great place to just sit and look at the scenery. The drive to Dharamshala is quite amazing as the road goes through the scenic Kangra Valley, so make it a point to come to this hill station near Delhi by car. Dharamshala was founded as a military cantonment by the British in the mid-19th century. How to Reach Dharamshala from Delhi: Pathankot, from where buses and taxis are available for Dharamshala, can be reached by trains from Delhi. 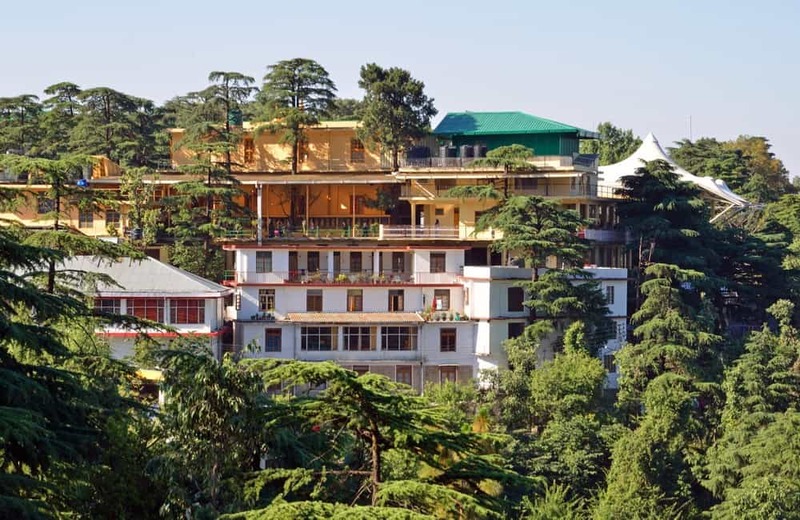 If you are heading to Dharamshala, then it only makes sense to cover McLeodganj as well. It is often known as Little Lhasa as the major chunk of the local population is made up of Tibetan refugees. These people left their homeland in 1959, along with the 14th Dalai Lama, the head of the Gelug sect of Himalayan Vajrayana Buddhism. How to Reach McLeodganj from Delhi: You can reach Pathankot from Delhi by train, and then take a bus or taxi. Nowadays, almost everyone in the 18-30 age group is heading to Kasol. Set at a height of roughly 5180 feet above sea level, it is a favourite of solo travellers, college students and youth in general. How to Reach Kasol from Delhi: After reaching Chandigarh by road, rail or air from Delhi, you can take a bus or taxi directly, if possible. Else, travel by road first to Kullu town, and then change buses or taxis. More than 6500 feet above sea level, Manali is one of the quintessential summer getaways from Delhi NCR. The Beas River flowing through the middle and the mountains all around give it a picturesque setting. Families, group of friends, solo travellers and honeymooners throng this town from all parts of India in summers. 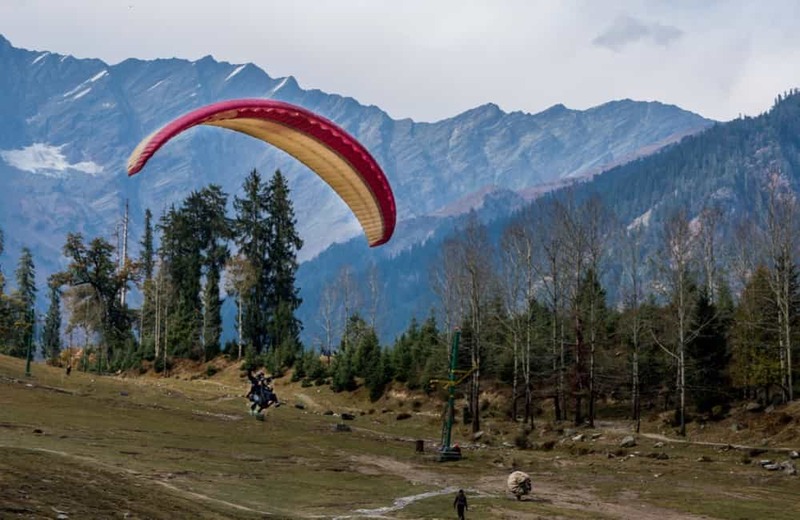 How to Reach Manali from Delhi: To reach Manali, you can reach Chandigarh by a flight or train from Delhi, and then take a taxi or bus. 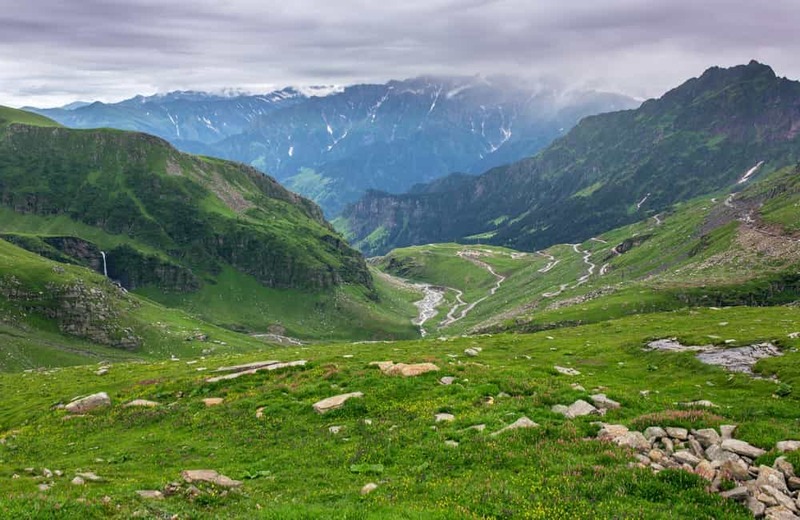 Head to the Solang Valley, merely half an hour’s drive from Manali, if you are feeling adventurous. Its grasslands and wide, open spaces have made it a hotspot for honeymooning couples and families with kids. Most people take a package deal, covering Manali and Solang Valley in a single trip. 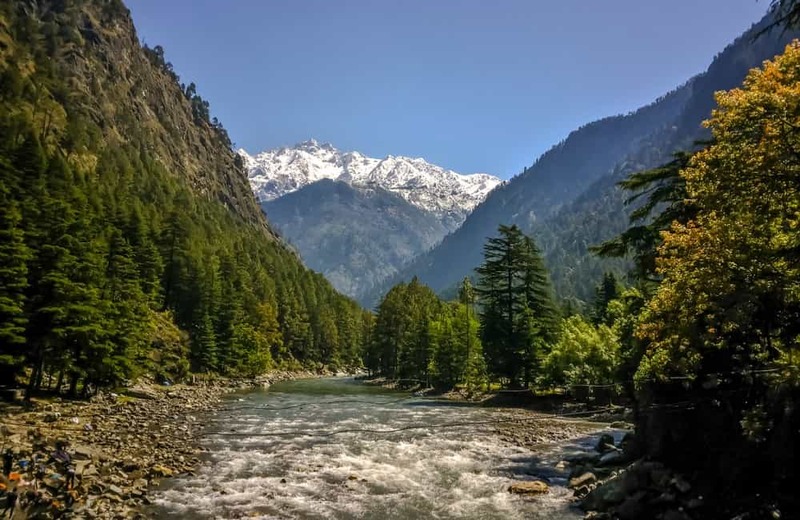 How to Reach Solang Valley from Delhi: Lots of private travel agencies and Himachal Pradesh government offer regular bus and taxi services between these two magnificent holiday destinations. Another among the popular hill towns in Himachal Pradesh, it is especially renowned for its charming monuments set in picturesque realms. A trip to this incredible town will definitely refresh you from within. It has a strong association with the British, who established it in 1854 and named it after the then Governor-General of India, the Earl of Dalhousie. Located at around 6460 feet, it draws holidaymakers from all over the country, who come to revel in its scenery and cool weather. How to Reach Dalhousie from Delhi: The town can be accessed by bus or taxi from Pathankot, for which there are several trains from Delhi. Often called Mini Switzerland, it is extremely popular among people from across the globe, especially families and newlyweds. A small lake in the middle of lush pastures surrounded by lush deodars….man, I could build a house here for myself if I could. In summers, when the pastures are nice and thick, you would see wild mountain horses feeding on them without a care in the world. How to Reach Khajjiar from Delhi: You can first reach Pathankot by train and then take a bus or taxi to complete the rest of the journey. 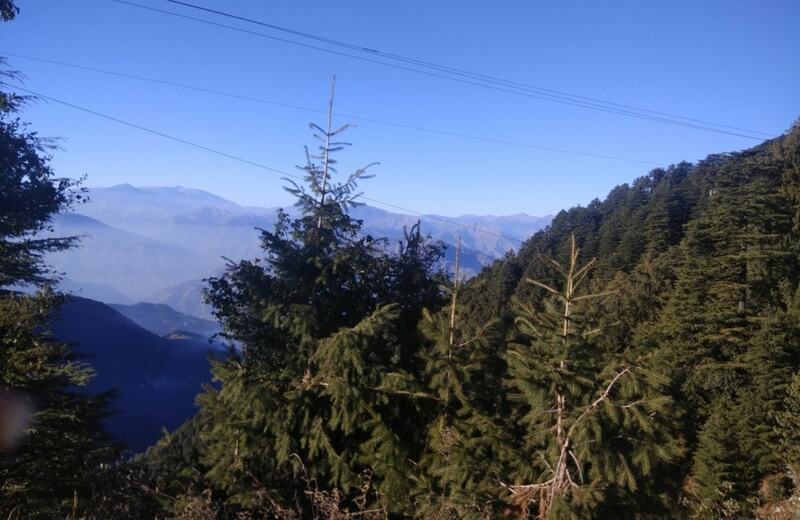 Mukteshwar is another name which features on the list of the coldest hill stations near Delhi during the summer season. Absolutely green everywhere with the sky-high Himalayan mountains in the distance, it is simply heaven. 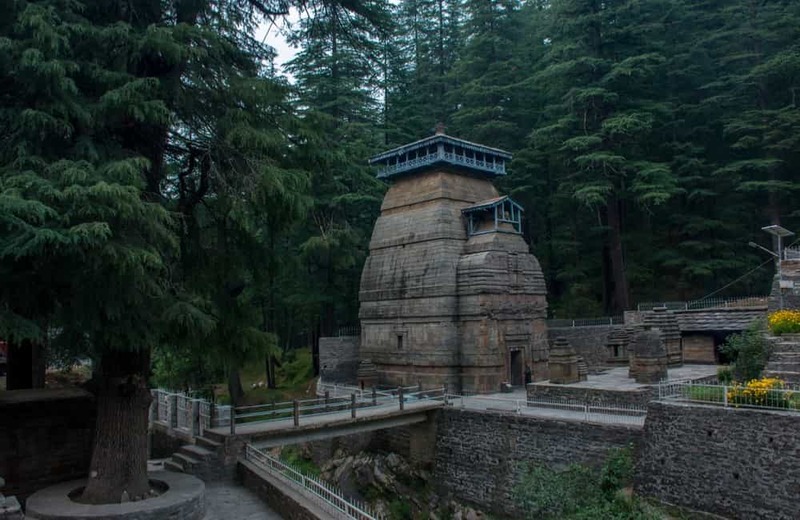 Plus, it also has a religious significance as well as the name of the town is a reference to Lord Shiva, who is considered to be its guardian deity. 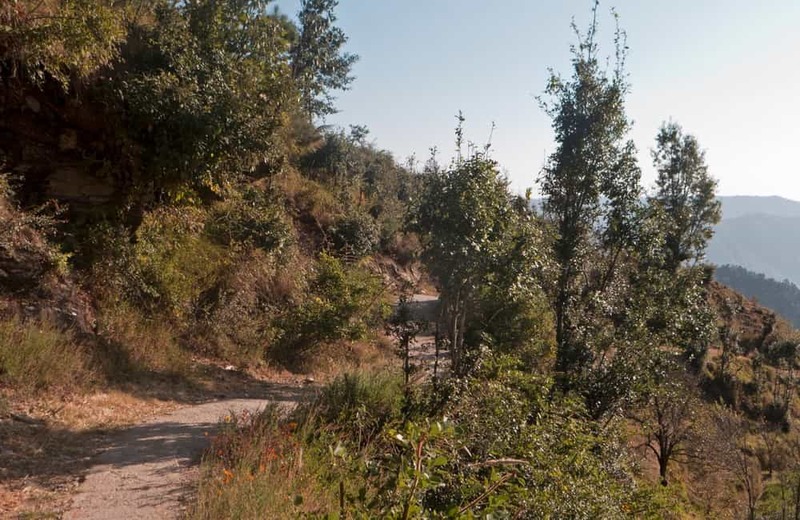 How to Reach Mukteshwar from Delhi: Several trains run from Delhi to Kathgodam, from where you can either take a bus or taxi directly till Mukteshwar or reach Bhatelia and then change over there. 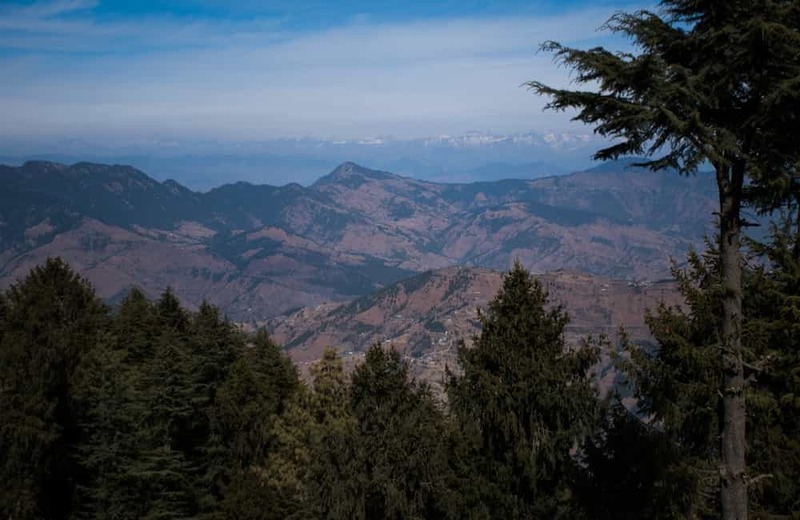 Located between Nainital and Kausani, Binsar is a great place for wildlife enthusiasts. The sanctuary here is home to animals like Himalayan gorals, red foxes, eagles and Himalayan black bears. So don’t forget to bring your camera because you seriously do not want to miss clicking photos. How to Reach Binsar from Delhi: You can take a train first to Kathgodam and then a bus or taxi till Almora before changing over for Binsar. 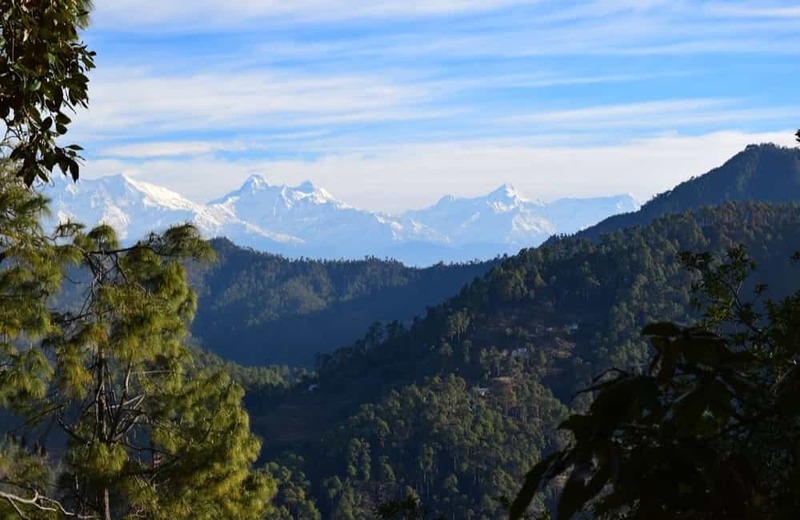 If you want to see the Himalayas in all their glory without being frozen by extreme cold, then Kausani is one of the best places to visit. 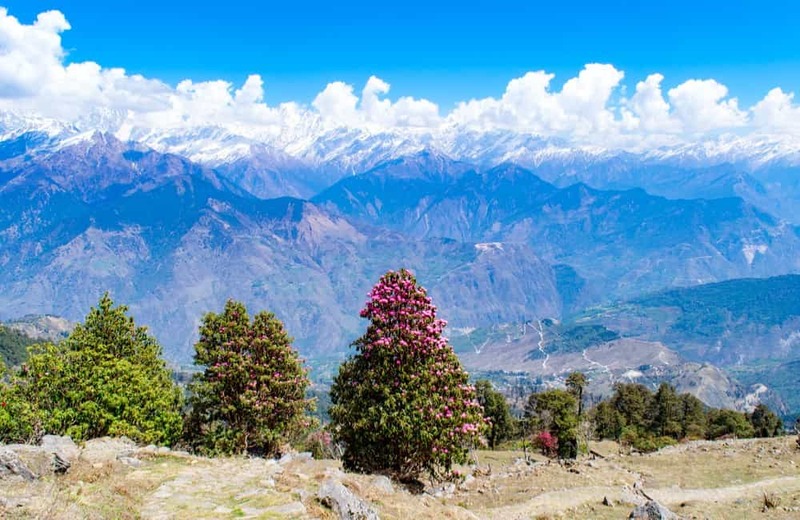 The town, also known for its lush tea estates, gives a spectacular view of several peaks, including the mighty Nanda Devi, the highest entirely within India. The best thing about the hill station is that not many venture here, so you are assured of all the privacy you need. 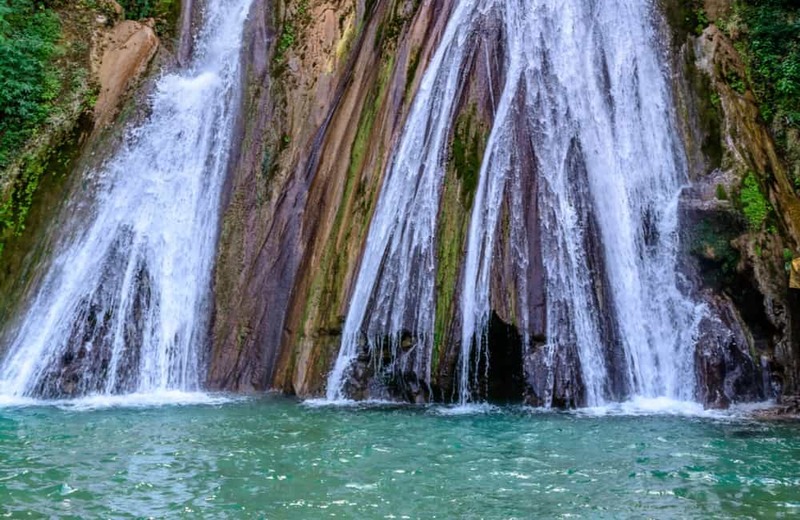 Located deep in the Himalayas of Uttarakhand, this is one place you might not have heard about. It is an extremely incredible place with cool weather, few people and pretty scenery all around. You take a train up till Kathgodam, and then there is a long, but extremely scenic and visually rewarding bus journey to the town. With so many options to choose from, a trip away from Delhi NCR is bound to be enjoyable. So, where are you heading to? I know exactly where I am. Let’s all have a memorable trip and share our experiences in comments below. Keep tripping!